So, we helped the couple add a pair of closets to their master bedroom, without sacrificing the character of their home. 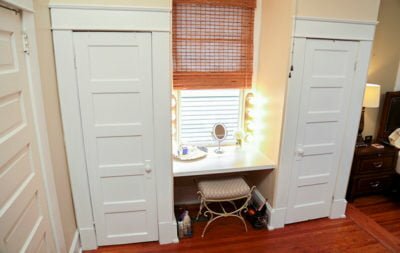 We also added a vanity counter and customized the interior of the original closet. Check out the Savvy Storage Solutions episode article for details.